If you've come around to the idea of harvesting rainwater for your home, business or industrial application, we think you've really made a great choice - and you've definitely come to the right place for your pumps, products and accessories. At 4 Pumps, we have a superb and vast range of only the highest quality rainwater tank pumps, products and tank accessories that will get the job done for you today and long into the future. That's because at 4 Pumps, we have the best water pumps in the business for every need - full stop. From submersible pumps, constant pressure pumps that will help with everything from simple domestic tasks to keep your taps flowing to fire fighting and everything else imaginable in the world of water pumps, the range stocked by 4 Pumps and offered to you is quite simply the best. And when it comes to rainwater tank pumps of all types & poly storage covers there is no exception. Do you still need to be convinced that starting to use a rainwater tank pump is a great idea? Believe us, the benefits really are almost endless. At 4 Pumps, everything in our range is right there to get you started and keep you pumping rainwater from your water tanks long into the future. The benefits of harvesting the rain with the help of a rain water tank pump are almost endless and installation is very easy. At 4 Pumps, we are true believers when it comes to all of the financial, social and environmental benefits that you will reap simply by installing a rainwater tank system and pump for your household, garden or business site including running the toilet- so you can sit back, enjoy the view, and always rely upon your quality 4 Pumps rainwater pump solution to deliver, day in and day out. We stock only the best submersible rainwater tank pumps you can possibly find on the market for you to view and buy, including industry leading brands like Sparkle, Onga, Bianco and Davey that deliver on power. They're all there, having been tried and tested over the years, earning the best reputations and truly satisfying customers in demanding Australian conditions and heavy rain over a period of years. We are respected suppliers of these leading industry names because 4 Pumps can be relied upon to deliver the finest stainless steel rainwater tank pumps, high flow systems and products to you with great warranty and lots of built in protection features. Our range of rainwater tank pumps may be affordable, but once you start harvesting the rain for your home or business, that's when the financial benefits really start to kick in. Sick of the view of that huge water bill? Simply turn off those mains taps altogether and start using delicious, healthy, clean and all-natural rainwater in your home - because what comes out of the sky is pumped by your new rainwater tank free of charge! But the benefits of browsing the 4 Pumps range of rainwater tanks and accessories doesn't stop there. Do you really believe in looking after the environment and your local community? Fresh water is an ever more scarce commodity in Australia, so a rainwater tank pump will really help - and sidestep those pesky water restrictions as well! Not just that, if you decide to harvest rain by installing a tank and rainwater tank pump, you're helping Mother Nature. Stormwater runoff hurts our delicate creek systems, wildlife and water habitats - so contribute to stopping all of that damaging waste, preserving that beautiful view from your pristine garden and consider buying a rainwater tank pump from 4 Pumps. So if you're now coming around to the idea of using rainwater for your garden taps, home or income-producing business, it may be time to start browsing 4 Pumps' range of rainwater tank pumps. In fact, we're so serious about satisfying your need for water pumps that we are no less than Australia's biggest online pump store! If a rainwater tank pump is not really what you're looking for, we stock a huge range of automatic and submersible pumps - if you can't find your water pump at 4 Pumps, you're probably just not looking at our range closely enough! If, for example, you want a rainwater tank pump because you're tired of the cost of bottled water or sick of the taste of mains water from your taps, 4 Pumps will be your first and only stop. Rainwater pumped under pressure by a quality and reliable automatic pump will leave nothing other than pure, delicious water in your glass. And maybe the best thing about a rainwater tank pump? The great-tasting water it puts in your glass is seriously good for you, and free of all those chemicals. When it comes to water pumps, what you can really trust 4 Pumps on is that no matter your need - whether you need a rainwater tank pump for your home or something much more powerful that will service an industrial premises - we will have a product and accessory that will help you. That's because we've been in the business for decades, and over the years we have put together a range of rainwater tank pumps that will never let you down. And at 4 Pumps, we don't rest on our laurels and reputation either - whenever the rainwater pump industry is churning out something new, we have our eye on it. Like any other technological realm, rainwater tank pump technology continues to race ahead - so if you need a top of the range solution with all of the cutting edge features, rely on us to stock it. So let's get into the details of what 4 Pumps can offer you in our range of top-notch rainwater tank pumps. We have jet pumps, which are special centrifugal pumps which are simple but can still generate quite high water pressures. We have automatic pressure pumps, which are suitable for your garden taps but can also pump water from above ground rainwater tanks, underground tanks, bores and wells. 4 Pumps also has fully automatic constant pressure pumps, which are suitable for just about any above ground rainwater tank you can possibly buy. Turn on your gardening taps or do your irrigation, run your farm and even pump water for washing your car or running a garden sprinkler even for gardens that need vast quantities of water, all with a constant pressure rainwater tank pump. But if what you need is a high pressure submersible pump system, 4 Pumps has you covered as well. Many applications require a submersible pump, which is secure and runs very quietly - which will keep your family as well as the neighbours happy! 4 Pumps also has great quality, reliable and value for money high head drainage pumps and much, much more - so rest assured that whatever your need in and around your important rainwater tank, we will have the pump you need. At 4 Pumps, we don't just have every need covered - we will solve your rainwater tank pump solution with a system you can just buy and install once, and then sit back and rely upon year after year. A rainwater tank is not something you want to be constantly tweaking, not least of which because the supply of rainwater for your home or business is really important. So when you buy a rainwater or submersible pump, you want to be sure that what you are buying will stand the test of time in the most demanding of operating and climatic conditions imaginable in our great country - including heavy rain that really ramps up those demands. Although a rainwater tank pump purchased online from 4 Pumps will not cost you the earth, you can be sure you won't have to spend any more. We have full confidence in the range of rainwater tank pump products we stock because we are only interested in premium quality, reliable products. At 4 Pumps, we strongly believe that the cost of buying a quality rainwater tank system should be all you have to spend - also because you've got better things to do with your time than get a faulty water pump fixed, replaced or up and running again. So value for money and high performance is not the only consideration - we know that you need a rainwater tank pump to be a one-off purchase, so we make sure the brands and accessories we stock are ready for the job - now and long into its hard-working future. Of course, a great range of rainwater and constant pressure pumps in another country might be all good and well, but 4 Pumps is the place to shop for the demanding environment, conditions and all-seasons weather that only Australia boasts. While we love our climate, 4 Pumps knows that our conditions are extreme when it comes to the reliable, powerful performance of technology like rainwater tank pumps, particularly when they're working around the clock, 365 days a year. 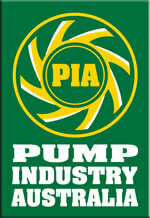 What else might you consider buying a rainwater tank pump from the high quality 4 Pumps range for? Perhaps those mains taps at your place at simply not reliable, so a rainwater tank will solve a major headache for your home or business. Perhaps you live in a rural area and you need something just in case you need to do your own fire fighting during bushfire season? Maybe you have so many excess stormwater from your roof, sheds and garages and it's either making a mess or you just don't want to waste it - why not consider watering your garden from rainwater tank taps from now on? No matter the need, we have the solution right here with the products and accessories in the 4 Pumps range. Storing water and pumping it around your home or garden with a rainwater tank pump is good for your hip pocket, and in my cases you can even get a rebate from your local council for the cost of that handy rainwater tank. Worried about the future of your finances? A rainwater tank and water pump could really safeguard your future, particularly with living and water costs being constantly on the rise. And it may be the case that your particular council or sub-division is demanding that you install a rainwater tank that switches to mains water - in which case, the quality and value products you can view in the 4 Pumps range is exactly where you need to be. Everything you see in the 4 Pumps range of automatic pump products is designed to handle with ease the kind of environmental exposure, operating conditions and high temperatures they will be exposed to as they solve your rainwater tank solution anywhere in Australia. Quite simply, we'll keep your taps running. When the going gets tough, rely on a 4 Pumps pump and accessories to keep plugging away. That's because a rainwater tank pump is regarded not just as a luxury as you sip that cool glass of all-natural water, but nothing short of a necessity as many of our clients need to rely on them in emergencies and droughts. Once again, here at 4 Pumps we are more than confident that whatever need you have for any of the superior products in our constant pressure rainwater tank pump range, we have you covered with something that will keep that water flowing out of your taps. But if you've done your browsing and have a question, you can also rely on our reputation, experience and friendly customer service - because all we want is that you get the rainwater tank pump that will do your job at the minimum of cost, fuss and long-term hassle.